Residents of Sarapiquí, Costa Rica, are trying to repair their environment, one tree at a time. Country-wide clear cutting of land for timber and agriculture in the 20th century resulted in the destruction of the rain forest. Some organizations are now promoting reforestation to slowly restore what has been destroyed. Rampant deforestation in Costa Rica began in the 1950s, reducing forest cover to 25 percent by the time conservation initiatives were introduced by the government in the 1980s, according to the Sarapiquí Conservation Learning Center. Sarapiquí, the sixth poorest of Costa Rica’s 81 counties, was particularly vulnerable to the removal of rain forest for plantations and pastureland. La Selva Biological Research Station contains several areas of secondary forest. Once abandoned, pastureland regenerates naturally. Reforestation efforts began with the planting of non-native species in the area, but data from the La Selva Biological Research Station has lead to a new approach. Today, organizations ranging from hotels to non-profits offer reforestation initiatives based on planting native trees throughout the region. 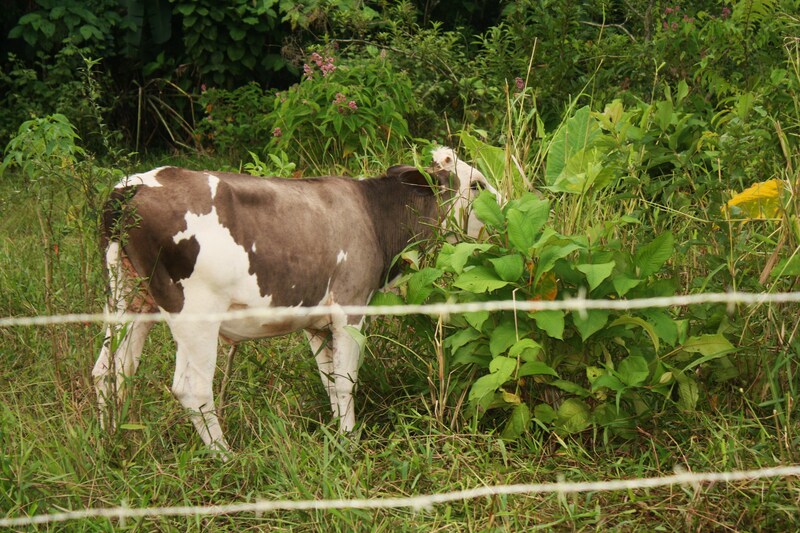 A cow grazes in Sarapiquí. Areas are often deforested to support livestock. The learning center runs a reforestation program largely staffed and funded by tourist groups who together plant 3,000 to 3,500 trees each year. The program began about four years ago and works with 14 local farmers in the San Juan-La Selva Biological Corridor to convert part of their properties into forest. 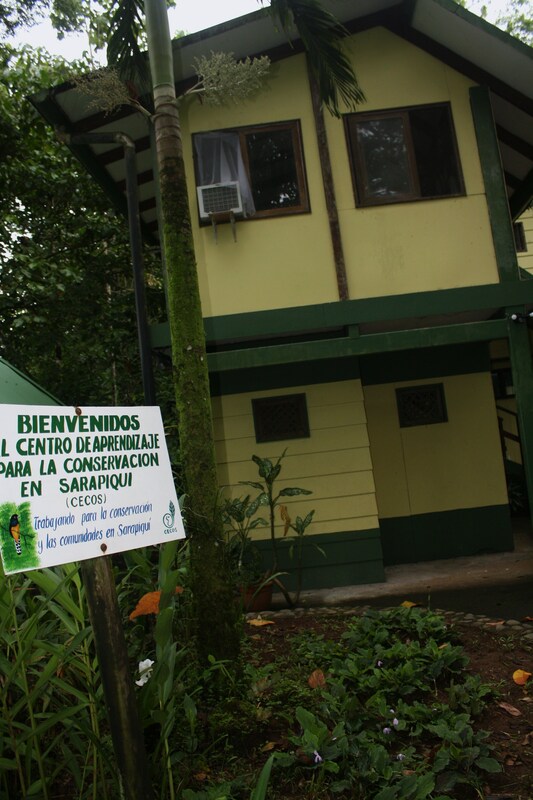 The Sarapiquí Conservation Learning Center is located in Chilamate, Sarapiquí. 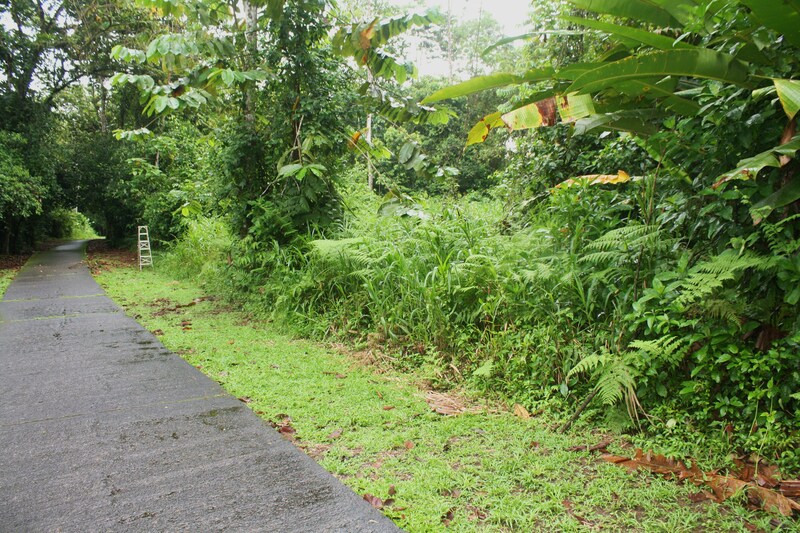 The center runs a reforestation program using native species. Vega, who was born in the area, said much of the deforestation in Sarapiquí occurred about 50 years ago. Though organizations originally reforested with species such as teak, strategies began to change with research that came out of La Selva Biological Research Station in the 1980s. The project tested 80 native tree species to determine which are most effective for reforestation. The conservation center uses native trees for its efforts, including the ironwood and almond tree. Both are vital for protecting wildlife such as the great green macaw, peccaries, rodents and bats. Current research at the station continues to determine which species can help restore the forest most efficiently. The Bosques Project began in 1997 and monitors tree species in primary forests as well as secondary forests, which are deforested areas where the forest has regenerated naturally. Much of the pastureland now part of La Selva Biological Station was abandoned in the 1970s or 1980s. Researchers can see these areas reforesting with a combination of pioneer species, which grow quickly and establish easily, and old growth species, which require more time. The areas regenerate, though a full recovery of all species would take at least 60 years, according to Alexander Defrancesco, a master’s student at the University of Connecticut working on the project. 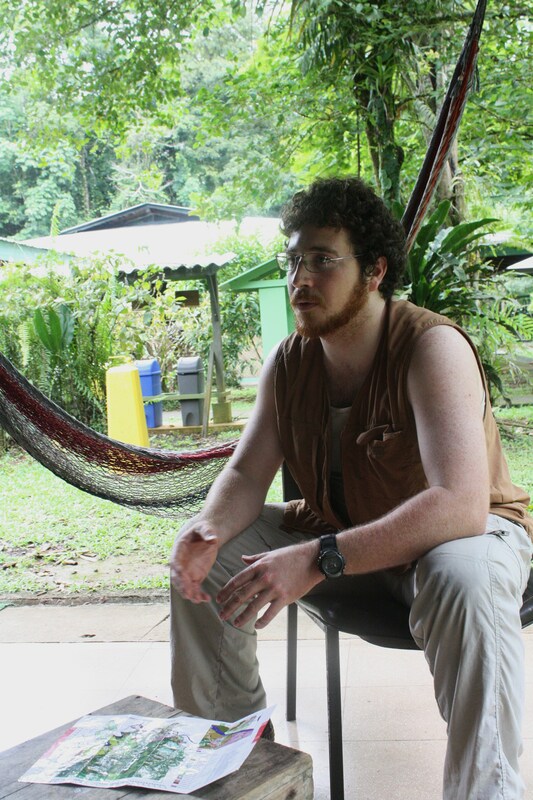 University of Connecticut graduate student Alexander Defrancesco explains the Bosques Project, which monitors primary and secondary forests in Sarapiquí. “If you give it a couple of decades, you start to see more and more old growth species come in,” he said. Researchers are trying to classify more than 500 tree and shrub species within the two types of forest to determine their different characteristics and what conditions they need to regenerate. The data can be used for organizations looking to reforest or conserve specific areas. Concentrated reforestation efforts can target the areas where trees would not regenerate naturally, such as working farms. The project run by the Sarapiquí Conservation Learning Center aims to create a path of forest coverage between farms and reserves so animals can travel freely. Though farmers receive money for their participation, most recognize the need to reforest, Vega said. He said their cooperation shows a change of opinion.